Maccabi came to visit! 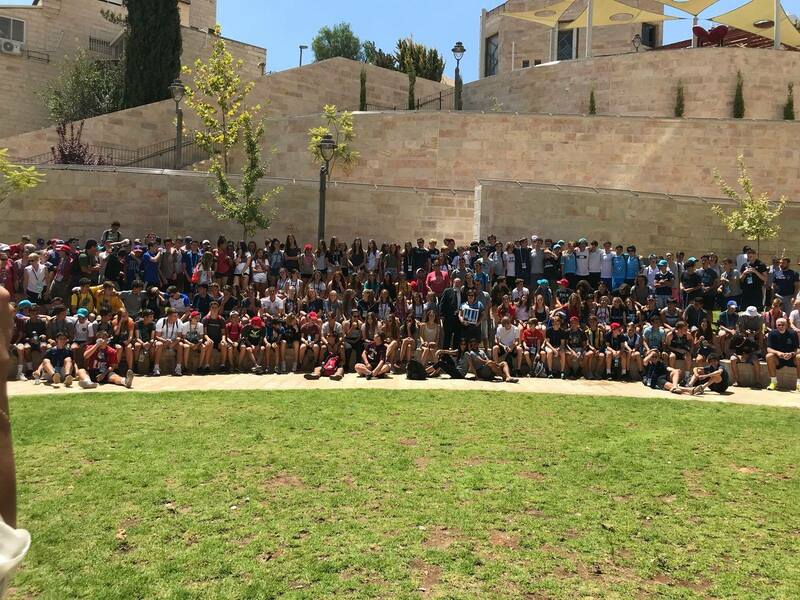 But this was no small tour. 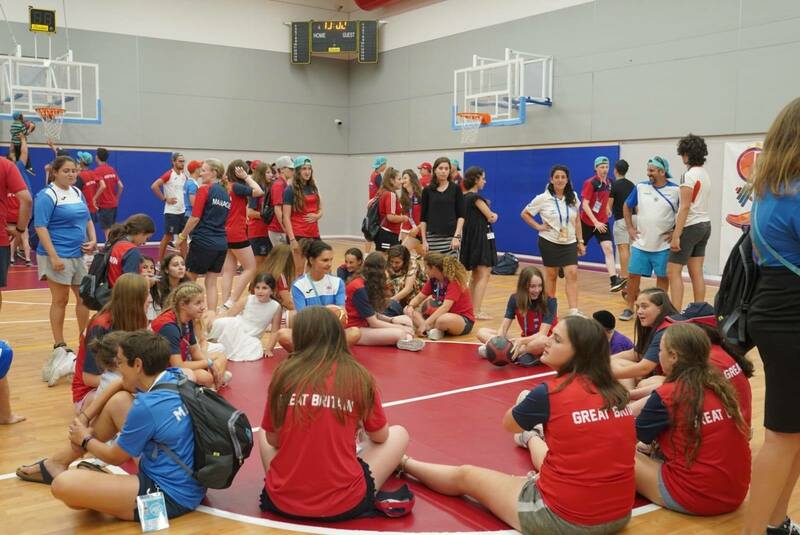 Shalva hosted over 550 athletes, ages fourteen through sixteen, from eleven countries around the world (wow!) 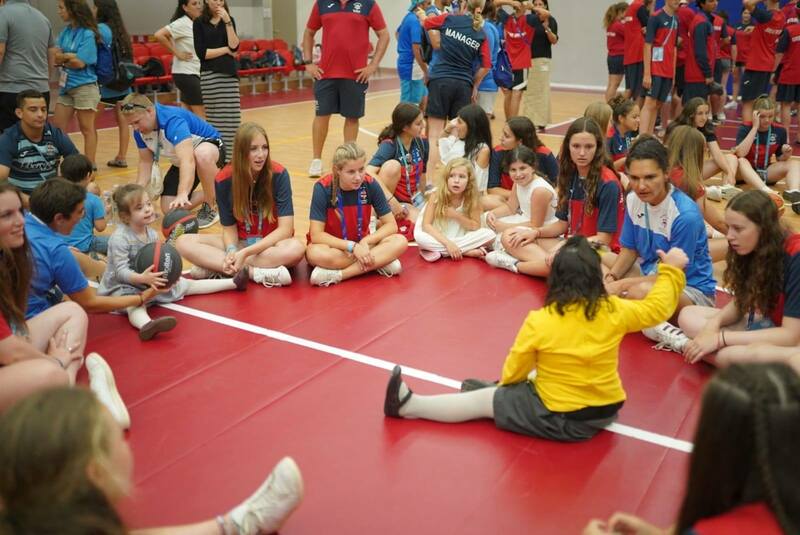 at the Shalva national center as part of a cooperative program with Maccabi World Union. 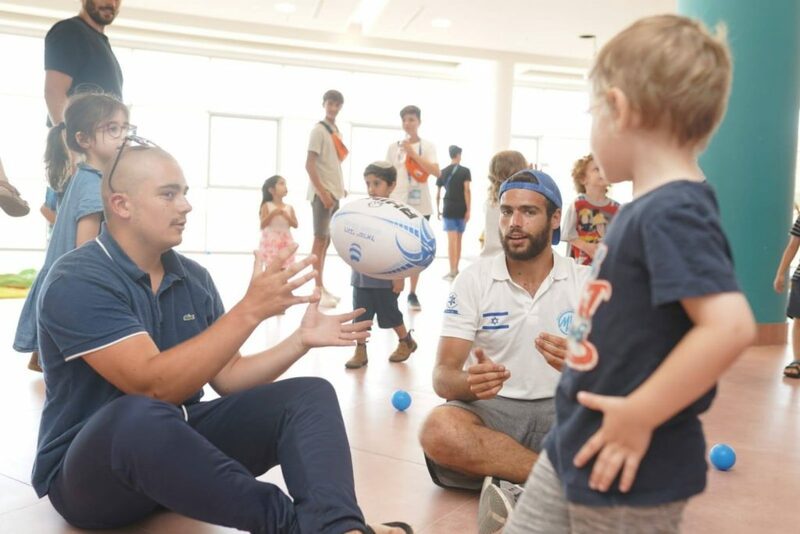 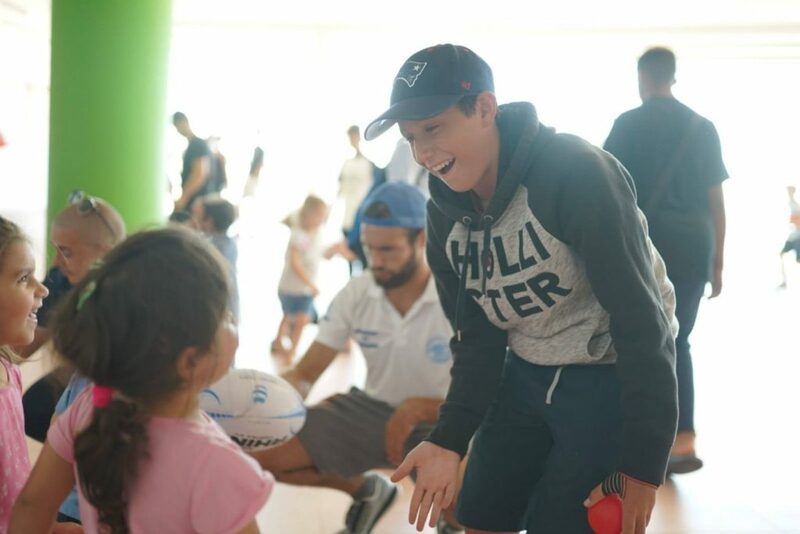 The Maccabi World Union, which hosted the Maccabi Youth Games in July and August in Israel, included a visit to Shalva as part of the touring and experiential education component of the summer event. 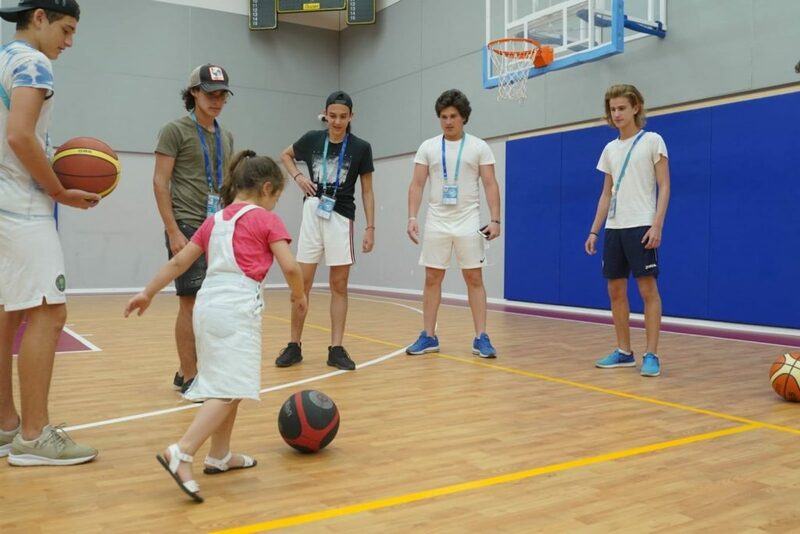 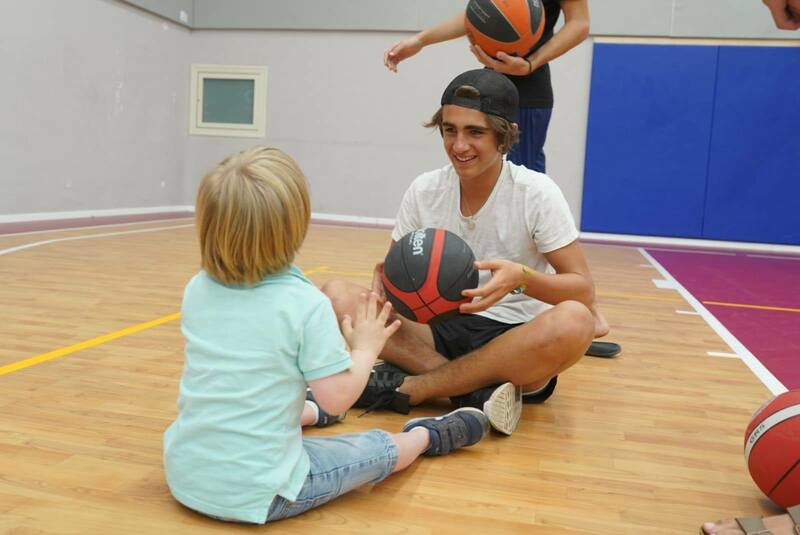 Young people from England, France, Italy, Hungary, Holland, Canada, Brazil, Argentina and the United States – toured the Shalva center and then engaged in athletic activities with the children of Shalva. Basketball, kickball, stretching, dance and movement were some of the fun activities that took place. In addition to the sports, the young athletes and the children worked on art projects together which was both fun and meaningful for all participants. 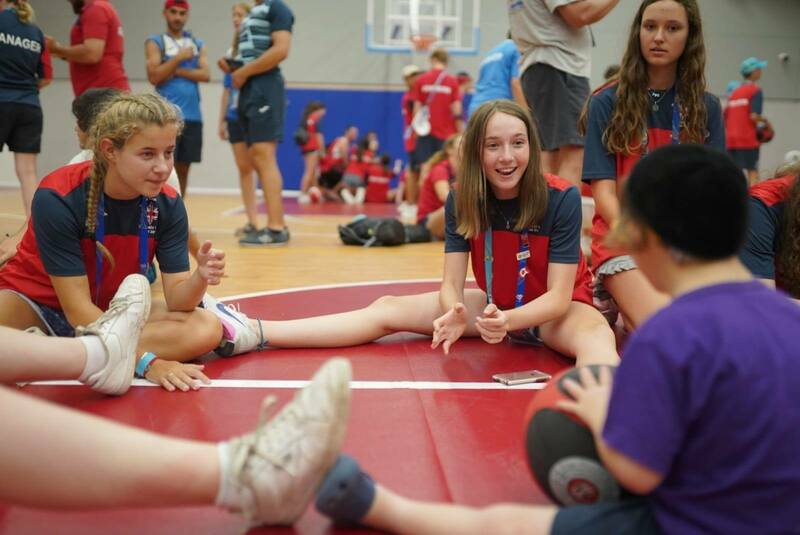 This special day was fun for all involved- but more than that it encouraged inclusion and the idea that anyone, with any skill level can enjoy a day of sports.